Have you ever wondered how rural mailboxes ended up in suburban neighborhoods? At one time rural mailboxes were designed just for those who lived in rural areas, but as time went by the post office decided it would be a good idea to use rural mailboxes in residential areas so the mail carriers would not need to walk up and down the streets to deliver mail. While the idea is a good one, it can also create problems for those who live in residential neighborhoods. Since the boxes are on the street it is much easier for anyone walking up the street to open the box and steal its contents. With more residential neighborhoods using rural mailboxes, it is more important for security to take an upper place on the scale of needs. Instead of just having rural mailboxes that the mail carrier can open as he sits in his truck, they now have rural mailboxes with locks and a slot for the mail. There have been many changes over the years, and the use of rural mailboxes and the way they are designed is just one of many things that has become necessary in efforts to enhance the security of the mail that goes through post offices daily. Today there are millions of people who have been victims of mail fraud and identity theft as a result of a thief stealing their personal information via their mail. With more and more Americans becoming victims, people are finally starting to take note and protect themselves. There are strict regulations about the installation of rural mailboxes, however. Before you can install a new one or move an old one you have to contact the postmaster in your area to obtain instructions. There are guidelines concerning how far the post must be in the ground and how far the mailbox must be from the curb. 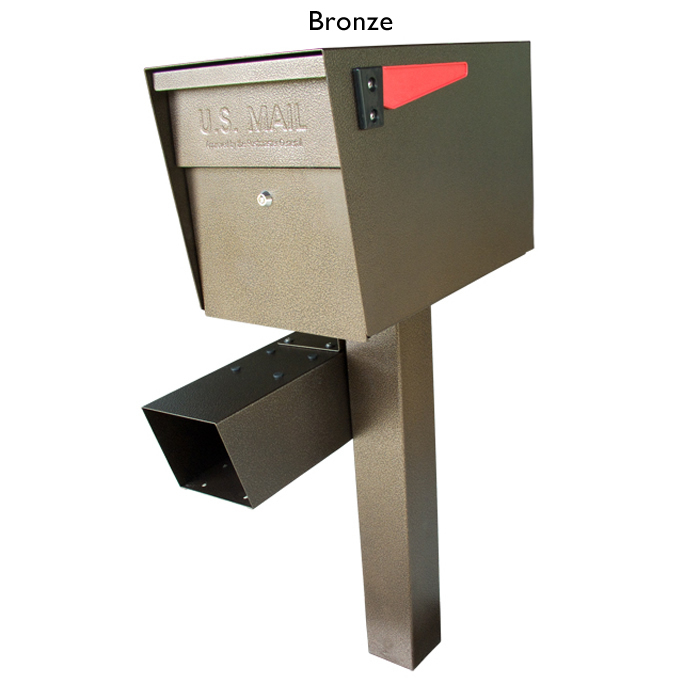 You do not have the authority to install a mailbox anywhere that suits your fancy, as the USPS regulations and guidelines clearly state. The guidelines are for safety reasons and not just to make all the mailboxes look the same or anything of that nature. As times have changed so have rural mailboxes. As they have left the rural neighborhoods to make their way into residential neighborhoods they have become more open to mail theft and thus manufacturers have had to secure them. However, it has not prevented vandalism or people hitting them with motor vehicles. Some things can be protected from damage, but not every incident of damage to rural mailboxes can be protected. The key is installing the mailbox as sturdy as possible while following postal service guidelines. By following these simple steps you can be sure your rural mailbox is as safe and secure as possible. Remember, when choosing a residential mailbox it’s important to not only look for a mailbox that fits with your landscaping and house design. Be sure you also pick a mailbox which can provide high security to protect your mail from falling into the wrong hands.